Earn 5X VitaPoints when you refer friends and family. When you refer others you not only earn 5X (20%) points on their first purchase, you earn 5X points on every purchase they make thereafter. Earn 2X VitaPoints with Auto Replenishment Program (ARP). Upgrading to ARP will give you double points (8%) with every delivery. You may change your ARP at any time as there is no obligation. Earn VitaPoints on personal product purchases. For every product purchase you automatically receive points equivalent to 4% of the total value of that purchase. VitaPoints cannot be converted to cash value and are non-transferable. Vita points can be used in conjunction with other discounted specials and with auto-delivery. The expiration date for VitaPoints is 12 months from when they were earned. 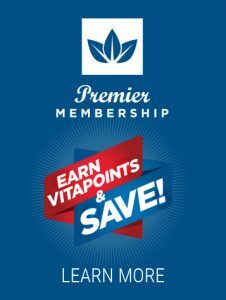 VitaPoints can be redeemed by calling TriVita Customer Service at 1-855-383-0238 or by visiting TriVita.com. VitaPoints may be earned and redeemed “cross-currency”. For example, referred VitaPoints may be earned on orders from referred accounts placing orders in currencies other than the base currency of the referring account. Likewise, there may be situations where an account with a VitaPoint balance in one currency wishes to redeem it for product in another currency (CAN account wishes to purchase form the Canadian personal use store.) In both cases the points are calculated using the active conversion rate on file at the order date of the transaction. Point values are fixed at the time of earning and the balances do not fluctuate with exchange rate. In the case of returned products; the VitaPoint value of the returned product will be automatically removed from the earning account. If those VitaPoints have already been consumed then the account may maintain a negative balance. Note: Negative balances do not expire and may be cleared by additional earning for the referring member or through payment from the member. Independent TriVita Business Owners, (ITBO) are not eligible to earn points in the VitaPoint program. VitaPoint redemption will count as a discount on the order and will reduce the commissionable value of the order for ITBO compensation purposes. Accounts may earn up to 55,000 in Referral VitaPoints (USD equivalent) in any calendar year. Referral VitaPoints over 55,000 are forfeited by recorded for reporting and other purposes. 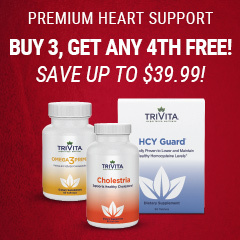 TriVita may run VitaPoint promotions at our discretion.